ALL ATHLETES TRYING OUT FOR A SPRING SPORT MUST HAVE A VHSL (Virginia High School League) PHYSICAL COMPLETED. IT MUST HAVE BEEN COMPLETED AFTER May 1, 2018. *** You must bring this completed physical to participate in any preseason workouts, weight training or tryouts in order to participate. All FIVE parts filled out with parent signature. You must have private or school insurance. THERE WILL BE SPRING SPORTS PARENTS MEETING ON FEBRUARY 18th AT 6:30 PM. LOCATION OF THIS MEETING IS ATLEE HIGH SCHOOL AUDITORIUM. ALL PARENTS OF SPRING SPORTS ATHLETES ARE ENCOURAGED TO ATTEND THIS MEETING. 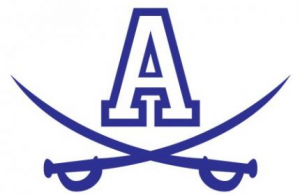 TOPICS WILL INCLUDE ELIGIBILITY RULES, TRYOUT PROCEDURES, COUNTY/SCHOOL RULES, ATHLETIC TRAINING PROCEDURES, ATLEE HIGH SCHOOL ATHLETIC BOOSTER CLUB INFORMATION, AND OTHER TOPICS CONCERNING ATLEE HIGH SCHOOL ATHLETICS.